Start doing sit-ups now. Log a few miles. Pump some iron. Run some stairs. I did. Why? One word, cupcakes. Take notice of the platter, my lovely grandmother painted it! Awesome, right? Not just any cupcake. These are chocolate cupcakes, filled and iced with a Bailey’s infused chocolate ganache and chocolate buttercream icing. Maybe I should have ran a few more miles…sigh. I like cupcakes, but I tend to eat them too quickly and icing always ends up on my nose…anyone else? So even though these are considered finger food, I prefer to eat mine with a fork – at least in public. Its the whole icing on the nose thing. Start with sifting together the flour, baking powder, baking soda, and salt. Whisk together cocoa powder, hot water, and instant espresso/coffee until it looks like this…don’t lick the whisk, it looks scrumptious but its not – trust me. Wait until sugar has joined the party. You are going to melt some butter, well a lot of butter. 3 sticks to be exact. 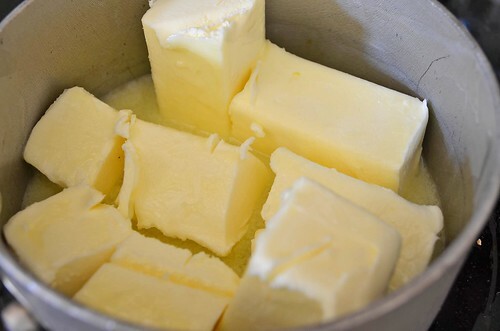 Once the butter is melted you are going to mix it with some sugar. And then there are a few more steps, which I didn’t take pictures of. I am still trying to get the hang of taking shots of each step…I need an extra set of hands! I’ll get there, until then though, dust off your imagination. The final batter looks something like this. Go ahead and lick the beater…its delicious! Ice the bad boy…make it look fancy! 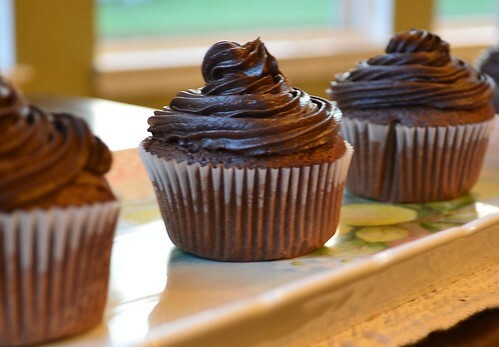 These cupcakes are decadent. Don’t wait to make these for a special occasion, bake them tomorrow. Because you can, because they are good, and because sometimes you need to make an ordinary day extraordinary. These cupcakes will do that. 3 to 4 Tablespoons Bailey’s Irish Cream- enough to make the icing spreadable. Preheat oven to 350°F. Prepare muffin/cupcake pans with liners. In a larger bowl, whisk together the flour, baking soda, baking powder, and salt. Set aside. 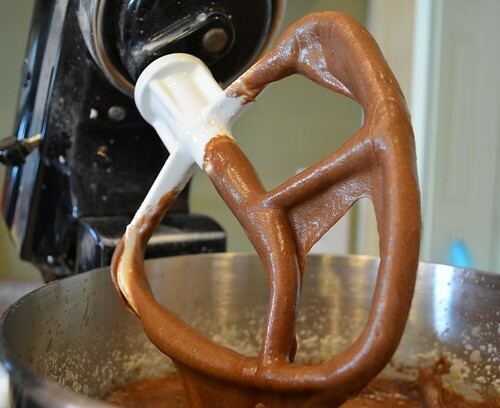 In a stand mixer or with hand mixer, beat the melted butter with the sugar. Beat until the butter has cooled – a few minutes. To the sugar and butter mixture, add the eggs one at a time…incorporating each one before the next one is added. Add the vanilla, mix to combine. Add 1/2 of the flour mixture – mix until just incorporated. Add 1/2 of the sourcream – mix until incorporated. 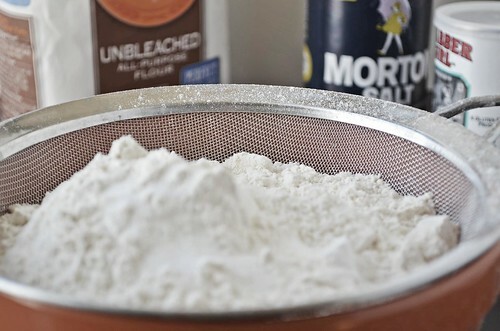 Add remaining flour mixture – mix until just incorporated. Add remaining sourcream – mix until incorporated. 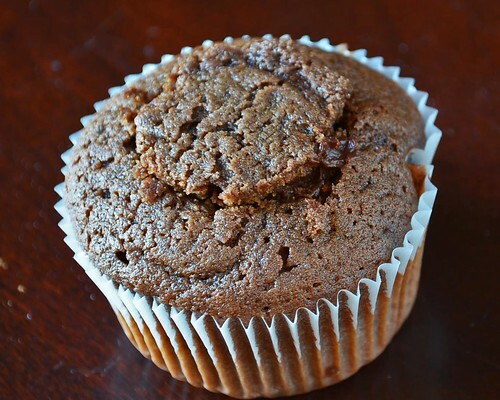 Fill cupcake liners 2/3 to 3/4 the way full and bake for 15 to 20 minutes or until toothpick comes out clean. Remove from oven and remove cupcakes from pan and let cool completely on wire rack. While they are cooling make the filling and icing! 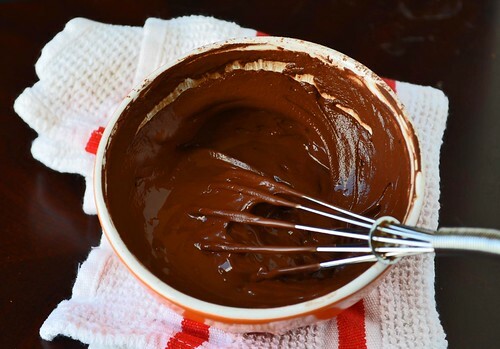 Pour warmed cream over chocolate and let sit for 5 minutes. Then whisk until smooth. If the chocolate does not completely melt (mine didn’t), then microwave – 10 second intervals on 50% power, stirring between each interval. Simple! Once smooth, whisk in the butter and Bailey’s Irish Cream. Cover and place in fridge for about 20 minutes, until it thickens a bit. Beat 1 stick of butter until light and fluffy. Slowly beat in the sugar and cocoa. Blend in the Bailey’s. Start with 3 tablespoons and if more is needed then add more. If it gets too runny, then add more confectioner’s sugar. Keep tasting it until you get what makes your taste buds happy – tough job, but someone has to do it! 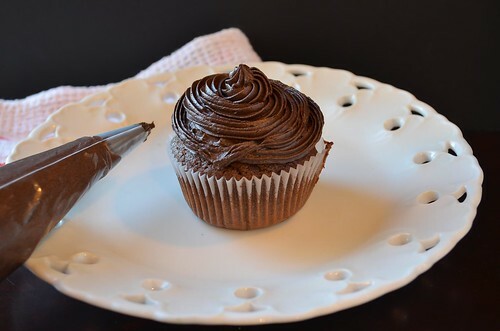 If you have extra ganache leftover after filling the cupcakes, whip it into the icing. I did this and it turned out nicely – more chocolate never hurt anyone! Using a paring knife, cut out a cone shape from the top of the cupcake (as seen in picture above). Fill with chocolate ganache, using a pastry bag and tip or plastic bag (just snip off the tip). Replace the cupcake cut out. Ice – hiding the man made hole. 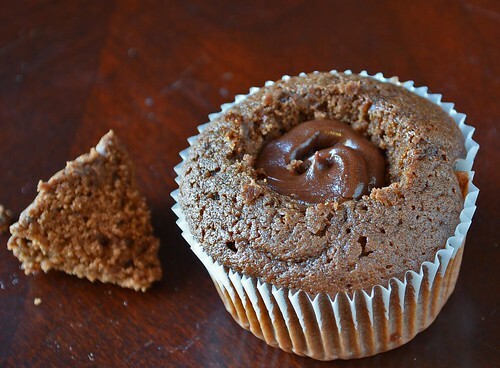 The Bailey’s flavor is not ‘strong’, but it definitely adds to the flavor of the cupcake. 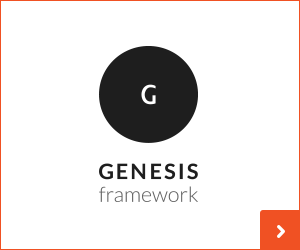 You will have people ask what is in them – they can detect something different, but can’t put their finger on it. We are big fans of Bailey’s Irish Creme in our household, so next time I will add more. Cheers!